As soon as you start a blog, you will want to know how to get more blog traffic – visitors, viewers and readers! There are some great strategies to use when trying to get more visitors to your blog and they’re actually a lot easier than you might think! Getting traffic to your blog can be hard to figure out at first. 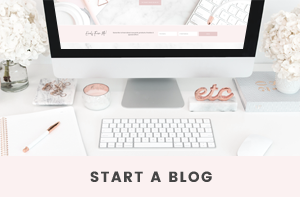 You may find that everything is going well for your blog and then slowly but surely the traffic dies down and you don’t know what to do to give it that boost it originally had. I’ve found there are a few ways to make it happen that many new bloggers may not even think about. Just the letters S E O sound boring, but they’re so worth paying attention to. For so long I didn’t care much for SEO (Search Engine Optimization). I didn’t really know what it was or how it could help me, or even how it was already helping me! I’m so much more informed about it now. I’ve been doing everything possible to make sure both my blogs are optimized for the best chance of appearing high in search rankings, especially on Google and on Pinterest! SEO is something I would need a whole post to talk about and give you my tips on, so if you’re interested in finding out more, let me know in the comments! 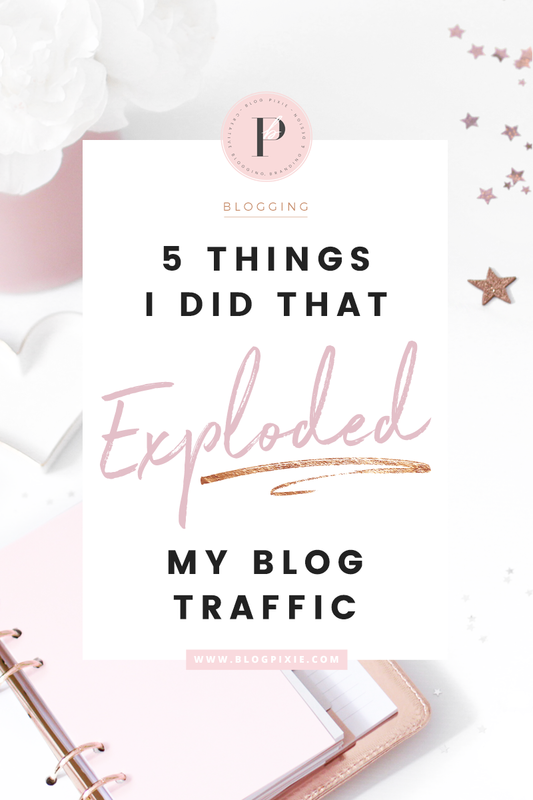 I’ve said it many times and I’ll keep on saying it, Pinterest can be your best blog traffic tool if you use it the right way. It’s ultimately a search engine in itself, where millions of people are searching for inspiring images daily. I have been pushing content like crazy lately on Pinterest and I’ve made it one of the top things I focus on for my blogs (even more than Instagram), as I’m seeing such brilliant results. Every time I create a blog post or a new product to sell, I make sure it has an image to go with it that will capture attention on Pinterest. This includes being vertically long (to take up more space in the Pinterest feed), bright colours with text that will draw people in. I want each image I create for Pinterest to be both re-pinned and clicked on, so I try really hard to create something that I believe could go viral. A lot of the time, it does! Since really focusing in on Pinterest, my Flip And Style account has hit over 10,000 followers, meaning more clicks through to blog posts I share. My pins on that account are seen by over 5 million people monthly, which is a huge audience. You may only have 500 followers, but it’s very likely you’re reaching way more people than you think, so put Pinterest to good use. I have tips to make your Pinterest pins go viral so check that out too. This is a site that I think way more bloggers should be using. If you’ve come up with a great blog post, there’s a big chance everyone on Stumbleupon is waiting to see it and will find it interesting, so get it on there! Stumbleupon is a bookmarking website, where once you add a blog post to the site it’s basically stuck there and will be stumbled (visited) over and over by everyone who uses the site (yet still giving you the direct traffic). The more ‘likes’ you get on a link you add, the more it will be seen and it can really have a viral effect (just like Pinterest). There are two secrets to Stumbleupon. The first is making sure you don’t just add your own links to your profile. You need to spend some time each week stumbling through posts on Stumbleupon and giving the thumbs-up to ones you like. Stumbleupon won’t push the links you add out to other people if they’re the only thing on your profile, you have to be more involved in the site and like other people’s content. The second is adding posts that are helpful. I’ve found people on Stumbleupon aren’t likely to be interested in hitting thumbs-up on “A Foundation Review”, but they will be interested in ‘The Top 10 Foundations For Pale Skin” and will most likely save it to their profile. If they have followers, their followers will end up stumbling on it, and so on. 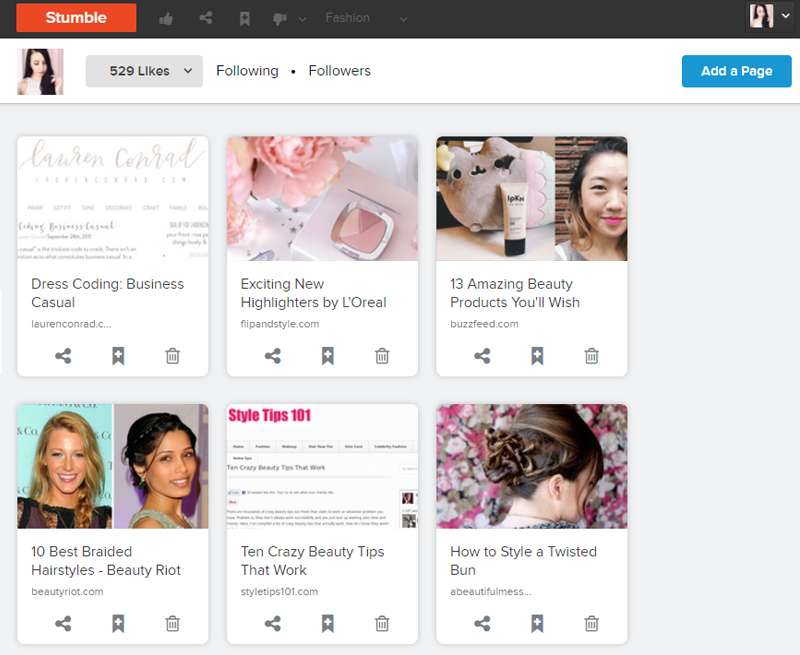 Every time I post on my blog, I’ll jump onto my Stumbleupon and add the link for that post to my profile. I’ll then ‘Stumble’ a few more pages while I’m there. When I check the real-time traffic on my Google Analytics after doing this, I can actually see the spike in traffic from Stumbleupon visitors. If you’re in a blogging Facebook group, try starting a Stumbleupon “pod” or see if someone already has. The more thumbs-ups you can get on your posts, the more they’ll be stumbled around to other people. You’ve spent so much time creating a blog post, you push it live, promote it once or twice and then it’s left forgotten for the rest of time. Why waste your amazing content? Bring that post back to life again by re-promoting it. There may have been people who didn’t see it, you may have new followers who haven’t delved back so deeply in your blog and there may be people who are really interested in seeing it. The more I realise what people want to see on both of my blogs, the better I get at creating content that blows up. A lot of the time, I come up with ideas while I’m on Pinterest. Whenever I see the same type of posts popping up on Pinterest that seem to have thousands of re-pins, it’s quite clear that that’s a popular type of post! So in knowing that, I always think “I’m going to make one of these posts with my own knowledge/creativity/thoughts and do it 10x better”. This gives me the motivation to create something amazing, and in turn my posts get even more re-pins than the others and they make it to the top of the search results on Pinterest. Love the tips! And I would want for sure a full post about SEO! Yes can you do a SEO post! I just started working on my Pinterest game so I’m excited to see how it helps my blog traffic! 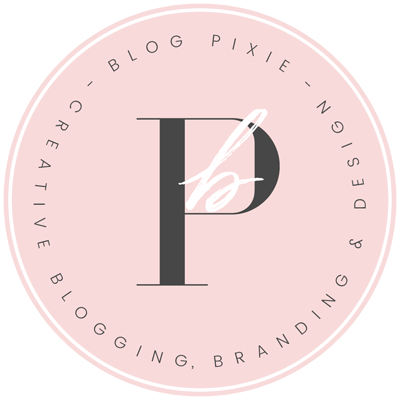 This was a great post, thank you for helping out other bloggers! 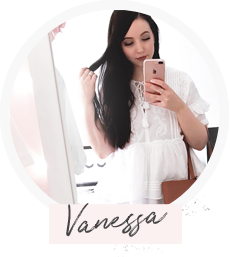 I actually recently launched my blog on July 7, and I’ve found your blog super helpful! Such a great post! I would love to read a whole post about SEO, I am really trying to start understanding it properly to implement it into my blog too! I have read quite a few posts on it however I’m not sure I quite grasp it yet, but I love the way you explain things so I feel like it will really be clear coming from one of your posts! I love this post! I’ve been wanting to really amp up my blog this year, and your blog is by far my favorite one! Thank you for this post!